Fans of the original Sega Genesis titles will probably find a lot to like about ToeJam & Earl: Back in the Groove. 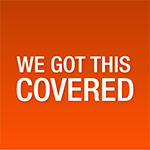 The rest of us, unfortunately, will need to fight off waves of annoyance and irritation while trying to determine what all the fuss is about. The controls were simple enough for everyone I invited over to play. The fact that this is also portable on Nintendo Switch consoles is overwhelming because it means you can pick it up and go play ToeJam and Earl anywhere! On the bus, on the train, on the RapMaster3000 and more! 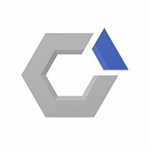 Great job, HumaNature studios. 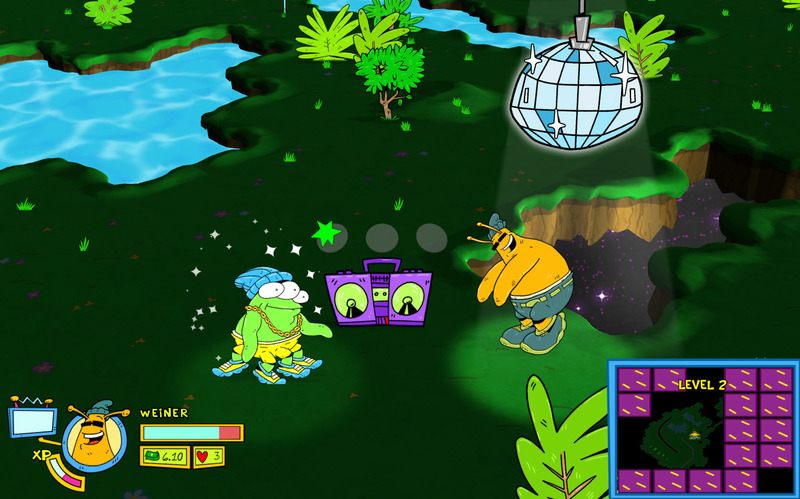 ToeJam & Earl: Back in the Groove belongs completely and unapologetically to the early 1990s. This remake's most attractive features--its dazzling animation, its infectious bass--are ambrosia for the nostalgic and derive much of their charm from their fidelity to the Genesis original. But a lot has changed over the last 30 years, and the game too often fails to gracefully integrate new features to a modern standard. 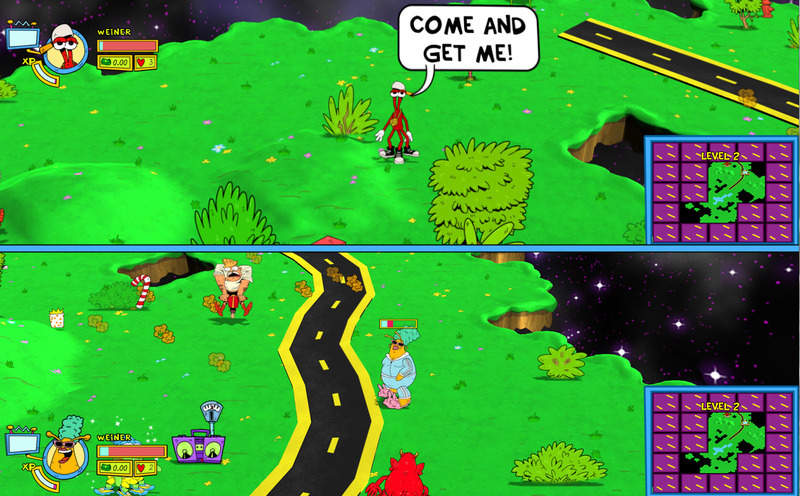 ToeJam & Earl: Back in the Groove is a relentlessly faithful retread of the 90s classics. 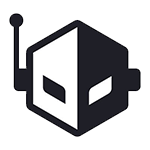 Fans of the funky alien duo are sure to enjoy it, but clumsy gameplay and some frustrating design choices date it in a bad way. Mixing elements of the two Mega Drive titles works well, and the oddball stylings and music are as good as ever. However, it just feels a bit tired, and maybe could've benefitted from a modern shot in the arm. Finally, I want to mention that if you're not already a fan of ToeJam & Earl, you might be perplexed as to how Back in the Groove could be fun. This is definitely a game for fans and I can imagine some newcomers enjoying their time if they begin playing with an open mind but most new players will likely be put off by its unconventional and laidback approach to gameplay. In other words, ToeJam & Earl: Back in the Groove has a very specific audience so it's difficult for me to recommend it to the general gaming public. 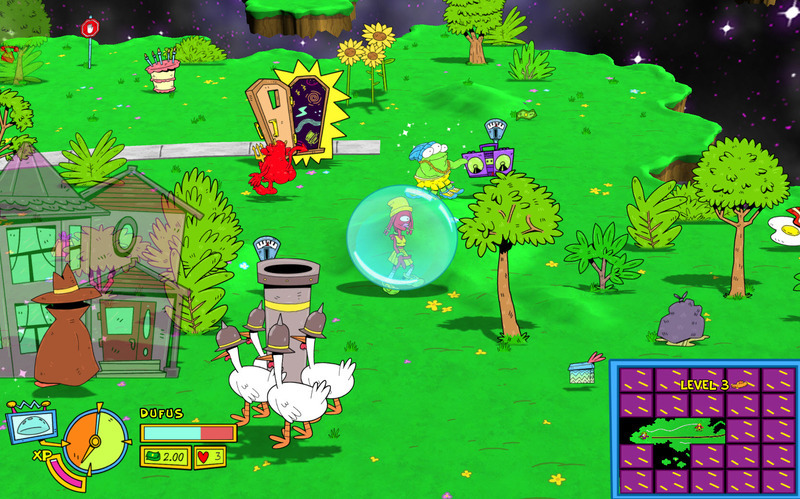 ToeJam & Earl: Back in the Groove feels like the sequel the creators of the original game always wanted to make. It’s a follow-up to the original concept, which ended up lost in the weeds for every previous sequel attempt. It’s a roguelike sort of game, but one that wants you to laugh and have fun instead of constantly dread what’s around each corner. That remains distinct, even after all these years. This isn’t the most elaborate or intense game in its space, but it’s the happiest to be there. Don’t get me wrong, the game is loaded with charm in its characters, soundtrack and setting, but when you boil it down to its basics, it’s quite standard and retains that old game difficulty feel which can get a little repetitive. It’s one of those ‘you had to be there’ experiences which make this look like a by-the-numbers roguelike dungeon crawler. If that’s what you're into, then there are far better examples of the genre out there. Full of fun characters and unique presents to unwrap, the classic Sega Genesis game feels as unique as ever in Back in the Groove, and is well worth a trip back for older fans of the series. 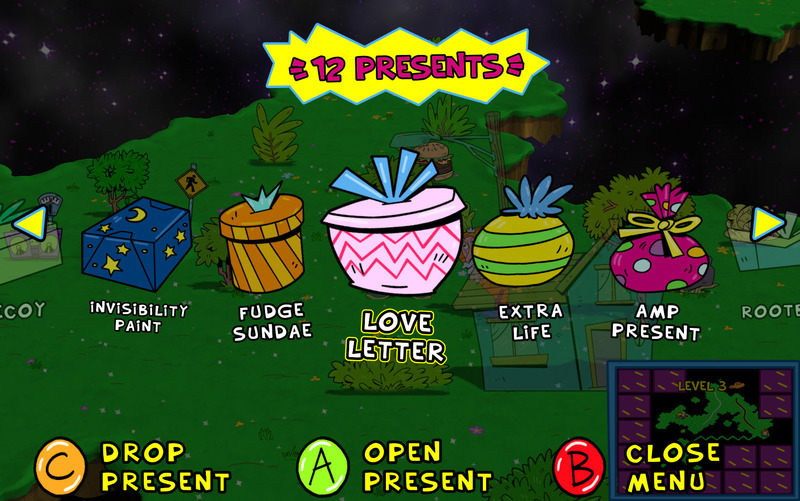 Newcomers can also look forward to finding out what made ToeJam & Earl so popular. Comercialmente se encuentra en una posición delicada: puede gustar a los jugadores veteranos, pese a la pérdida del encanto pixel-art, pero es complicado que atraiga a nuevas generaciones. En cualquier caso, Back in the Groove no engaña y ofrece lo que promete, es una secuela del primer ToeJam & Earl sin experimentos gratuitos. Los fanáticos del juego original encontraran justamente eso, con una capita de pintura de cara a los nuevos tiempos. En lo técnico podría ser bastante más solvente, pero os satisfará si buscáis una aventura pausada. 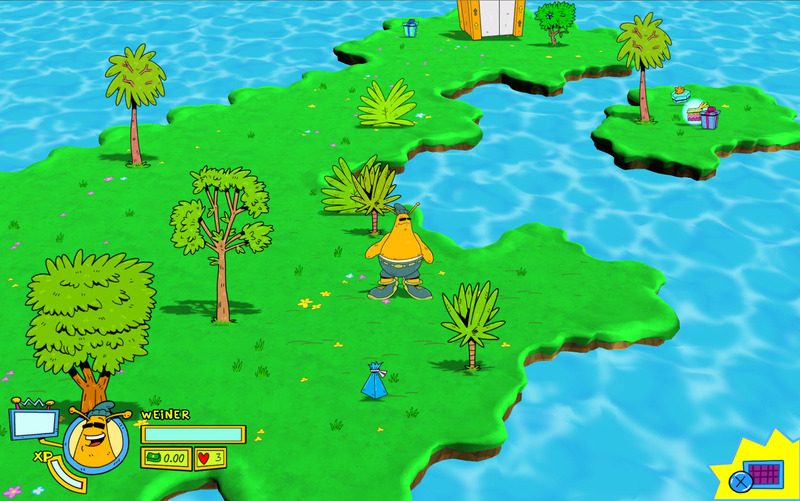 C’est au cours de cette période de transition, entre la fin de l’ère 2D et les prémices de la professionnalisation du milieu, qu’un tandem d’extra-terrestres rappeurs émerge : ToeJam & Earl. Quatre ans après la réussite de son Kickstarter financé avec plus de 500.000$, ce nouvel épisode intitulé Back in the Groove est à présent disponible sur PC via Steam, ainsi que les consoles de salon actuelles. Un retour vraiment justifié au-delà du syndrome nostalgie ? 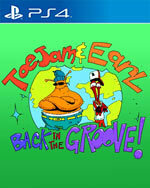 Une chose est certaine, ToeJam & Earl : Back in the Groove ! est fidèle à l'original, à tel point qu'il a conservé son gameplay de l'époque sans véritablement y apporter de modernité. En résulte un titre qui, à moins d'être un grand fan de l'époque voulant se payer une sorte de voyage dans le temps, finira par vous ennuyer à cause de sa redondance. Loin d'être le jeu intemporel que le créateur voudrait qu'il soit, il se présente finalement comme un ancien artiste à succès qui a fini dans une tournée croisière en paquebot sentant un peu le renfermé.